Hey guys, I wanted to set up a group buy for some TLR and TLS art prints that I have created. Don’t worry I have already cleared this with the site administrators. I wanted to share these new TL designs with you guys. I will be donating some of the profits back to this great site to keep it up and running. Drawing bikes and cars has been my passion ever since I could hold a crayon. These designs were not done in crayon, but if you want one, I’d gladly do one!!! This is just a side gig for me, but it helps pay the bills. 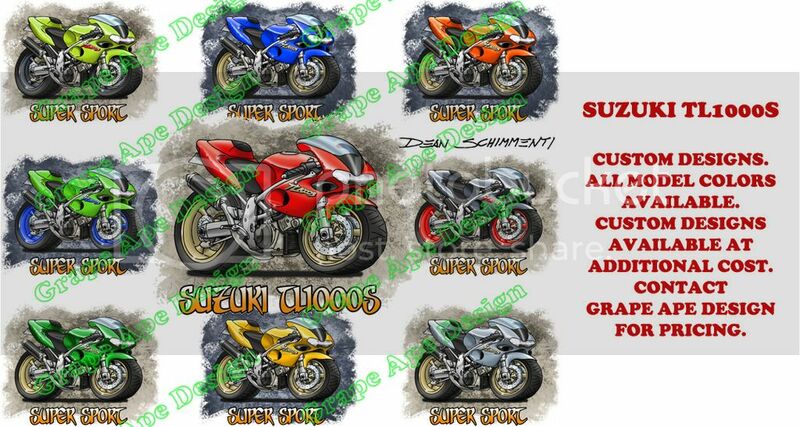 I can also do customizing of the designs to match your motorcycle! Send me a picture and description of what you want, and we can discuss cost. Designs will be printed on high quality semi-gloss paper in a range of sizes (inches) and prices (US), see below. Depending on print size, package will be either flat or tube. 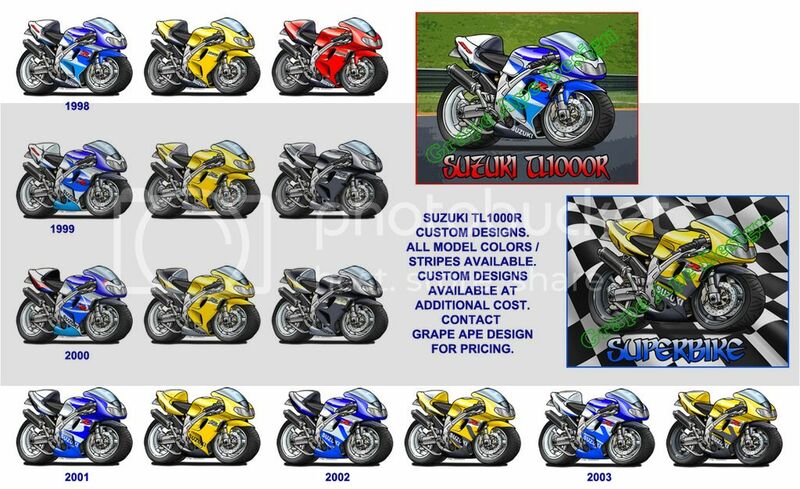 Bike year, color scheme, background (Race Track, Checkers or Rough) and print size. Last edited by Grape Ape; 07-03-2015, 06:59 AM. '97 TL1000s - Custom Paint, RaceTech fork internals, Bitubo rear shock, upgraded 6-piston front calipers, EBC brake pads, braided steel brake lines, Paoli steering stabilizer, LSL frame sliders, Indigo high-mount carbon fiber exhaust pipes, double-bubble windscreen, K&N air filter, Hayabusa bolts, Skene Design LED running lights, headlight wiring mod, in-line fuel filter, t-stat mod, Brainless' starter relay connector. These look fantastic! - dang. Started the ordering process but I might be closing on a house in a couple days and want to make sure I send it to the right address. Great stuff here!!! We're insanely busy trying to clean up 2 homes to sale, not to mention trying to move, but you'll definitely be hearing from us soon enough. Last edited by Brainless; 06-18-2015, 11:48 PM. "Take 2 plugs off your Gixxer and it'll sound the same"
Jimmy looks like there are T shirts on the website. Nice gear. I need to clarify something that might not have been clear in my original post. 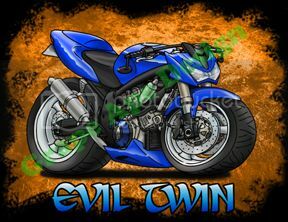 The art prints are not of the above images, but a print of ONE bike in the type and color combination that you want. Some of you might have been thinking that the print showed all of the designs. Sorry if I confused anyone. And yes, if you want a design on something other than a print, follow the link to my online store above. So these where are available. Remember seeing it before and thinking gotta get one. Did they ever get as far as shirts. 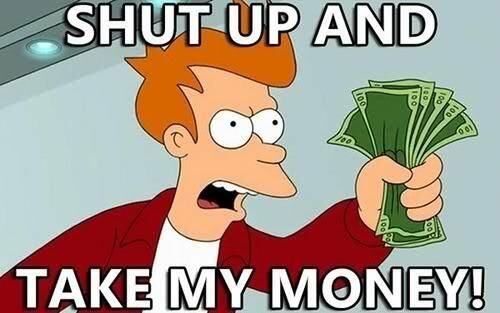 , there are shirts. Follow the link in the first post. "The rifle itself has no moral stature, since it has no will of its own. Naturally, it may be used by evil men for evil purposes, but there are more good men than evil, and while the latter cannot be persuaded to the path of righteousness by propaganda, they can certainly be corrected by good men with rifles." Colonel Jeff Cooper, in "The Art of the Rifle"
Bump for Christmas Wish Lists!!!! All times are GMT-6. This page was generated at 03:00 AM.